After hearing the roll call of the 144,000, John now sees “a vast multitude” of redeemed people from “every nation, tribe, people, and language, which no one could number” (v. 9). They lift their voices in praise for the salvation belonging to God and to the Lamb. Then the angels, elders and four living creatures fall on their faces before the throne in worship. 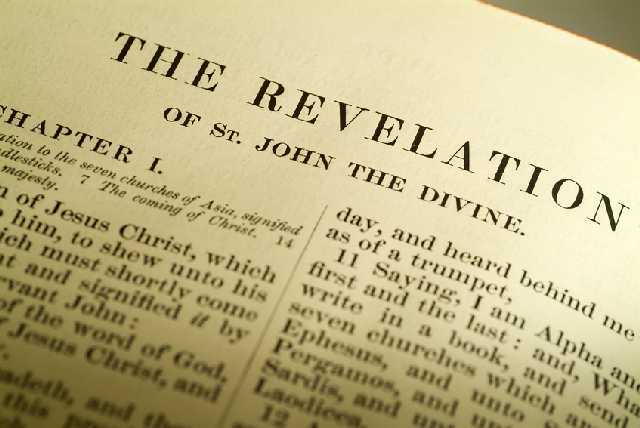 An elder asks John for the identity of the vast multitude of people, and when John confesses his ignorance, the elder provides the answer: “These are the ones coming out of the great tribulation” (v. 14). Who are these people? To what great tribulation is the elder referring? How does this multitude relate to the 144,000? What do John’s first-century readers make of this passage? And what does it say to us today? Let’s take a closer look. John sees a “vast multitude” that “no one could number” from “every nation, tribe, people, and language” (v. 9). As in the new song of Rev. 5:9, these are redeemed people of the earth, purchased by the blood of the Lamb and for God the Father. That they are in heaven, before the throne of God and the Lamb, should put to rest the Jehovah’s Witness contention that only 144,000 will enjoy this great honor. The King’s banquet house is full (Matt. 22:10) and the marriage supper of the Lamb is well attended. No doubt many will enjoy eternal fellowship with God in heaven. Yet it is foolish for us to place restrictions on the number who will stand around the throne, or to be universalist in our assumptions by declaring that all people will be saved. As Jesus is passing through the towns and villages on his way to Jerusalem, someone asks, “Lord, are there few being saved?” (Luke 13:23). This is the perfect opportunity for the Savior to provide an exact number of those who will receive Him by faith. Instead, He directs a warning to His listeners: “Make every effort to enter through the narrow door, because I tell you, many will try to enter and won’t be able …” (Luke 13:24). In parables and other teachings, Jesus makes it clear that the way of salvation is narrow, and some who think they’ve found it are in for a rude awakening on judgment day. Many who claim, “We ate and drank in Your presence, and You taught in our streets,” will be told “I don’t know you or where you’re from. Get away from Me, all you workers of unrighteousness. There will be weeping and gnashing of teeth in that place, when you see Abraham, Isaac, Jacob, and all the prophets in the kingdom of God but yourselves thrown out” (Luke 13:26-28). Jesus warns, “Enter through the narrow gate. For the gate is wide and the road is broad that leads to destruction, and there are many who go through it. How narrow is the gate and difficult the road that leads to life, and few find it” (Matt. 7:13-14). Jesus declares, “I am the way, the truth, and the life. No one comes to the Father except through Me” (John 14:6). “I am the door. If anyone enters by Me, he will be saved …” (John 10:9). “I am the resurrection and the life. The one who believes in Me, even if he dies, will live” (John 10:25). Jesus continues, “Not everyone who says to Me, ‘Lord, Lord!’ will enter the kingdom of heaven, but [only] the one who does the will of My Father in heaven. On that day many will say to Me. ‘Lord, Lord, didn’t we prophesy in Your name, drive out demons in Your name, and do many miracles in Your name?’ Then I will announce to them, ‘I never knew you! Depart from Me, you lawbreakers’” (Matt. 7:21-22). “No, I tell you; but unless you repent, you will all perish …” (Luke 13:3). Peter states boldly, “There is salvation in no one else, for there is no other name under heaven [except the name of Jesus] given to people by which we must be saved” (Acts 4:12). We could cite many more passages, but the message is clear: Jesus is the only way of salvation. Apart from faith in Him, no one receives forgiveness of sins and eternal life. Those who seek to find their own way – through religious ritual, aestheticism, heritage, good works, or any number of other pursuits – will find themselves like the man cast out of the wedding for the king’s son because he is not properly dressed. The king has provided all guests proper attire – white robes – but this guest prefers the filthy rags of his own righteousness and thereby is unceremoniously cast into outer darkness for insulting the king and dishonoring his son (Matt. 22:1-14). Are only a few saved? This makes it seem as if few will be saved. However, we see through John’s eyes that people from every corner of the earth, every walk of life, and every language – an uncountable throng – stand before the throne of God and of the Lamb, robed in white (the imputed righteousness of Christ) and holding palm branches in their hands (a symbol of victory). Yes, the way is narrow. A relatively small number of the earth’s billions of inhabitants through time will find the way. Yet a vast multitude that Christ redeems by His blood will enter through the heavenly portals and sing the song of the redeemed. We are foolish to speculate how many, and we are in danger of judgment to decide who is worthy and who is not. But we are unfaithful to scripture if we insist that the number of redeemed in heaven are any fewer than the “vast multitude” John sees before the throne. As for the white clothing, we have addressed this in previous lessons (see, for example, the notes on Rev. 3:1-6); however, it’s good to be reminded of its significance. Candidates for Christian baptism in the ancient church wore white robes as a symbol of the imputed righteousness of Christ. Further, Paul writes in Eph. 5:27 that Jesus gave Himself for the church “to present the church to Himself in splendor, without spot or wrinkle or any such thing, but holy and blameless.” And in Rev. 19:8 we see the church depicted as a bride, “permitted to wear fine linen, bright and pure. For the fine linen represents the righteous acts of the saints.” On earth, believers are declared righteous, or justified; in heaven, they are made righteous, or glorified. In either case, their white robes depict the righteousness of Christ. Concerning the palm branches in the hands of the redeemed, Jamieson, Fausset and Brown share this insight: “The palm branch is the symbol of joy and triumph. It was used at the feast of tabernacles, on the fifteenth day of the seventh month, when they kept [a] feast to God in thanksgiving for the ingathered fruits. The antitype shall be the completed gathering in of the harvest of the elect redeemed here described. Compare Zec 14:16, whence it appears that the earthly feast of tabernacles will be renewed, in commemoration of Israel’s preservation in her long wilderness-like sojourn among the nations from which she shall now be delivered, just as the original typical feast was to commemorate her dwelling for forty years in booths or tabernacles in the literal wilderness” (A Commentary, Critical and Explanatory, on the Old and New Testaments, Rev. 7:9–10). Johns hears a roll call of the sealed servants. Perhaps it is the angel from the east who calls the roll, the same angel who tells the four other angels not to harm the earth until the 144,000 receive the seal of God on their foreheads. John learns that the 144,000 are from “every tribe of the sons of Israel,” and then he listens as 12,000 from each of 12 tribes are called out. R. Jamieson, A.R. Fausset and D. Brown provide the following perspective of John’s use of numbers: “Twelve is the number of the tribes, and appropriate to the Church: three by four: three, the divine number, multiplied by four, the number for world-wide extension. Twelve by twelve implies fixity and completeness, which is taken a thousandfold in 144,000. A thousand implies the world perfectly pervaded by the divine; for it is ten, the world number, raised to the power of three, the number of God” (A Commentary, Critical and Explanatory, on the Old and New Testaments, Re 7:4). Why are the tribes of Dan and Ephraim missing? Many commentators believe it’s because Dan and Ephraim are largely responsible for leading the nation of Israel into idolatry. Some conclude that the Antichrist will come from Dan (see Gen. 49:16-17; Jer. 8:16). Just as there is a Judas among the 12 apostles, there is a traitor among the tribes of Israel. Evidently, the priestly tribe of Levi replaces Dan. Ephraim is not mentioned by name, but rather by his father’s name. Joseph is sometimes substituted for Manasseh or Ephraim when referring to either tribe. Are the 144,000 ethnic Jews, or a symbolic representation of some other group? Many scholars believe these are ethnic Jews because the text plainly says so and lists them by tribe; they also argue that the clear references to “tribe” and “Israel” distinguish the 144,000 from the Gentile multitude in the second half of Revelation 7. 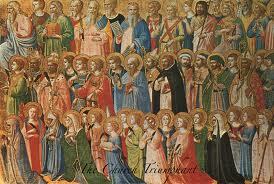 Some who hold this view contend that the 144,000, who are mentioned as “firstfruits for God and the Lamb” (Rev. 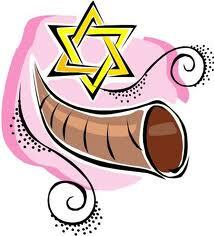 14:4), are the first Jews converted in the early days of the church. Other interpreters argue that the 144,000 are God’s faithful people, both Jew and Gentile. Just as Paul declared that “not all who are descended from Israel are Israel” (Rom. 9:6), the “true Israel” consists of Jews and Gentiles who have trusted in Christ; therefore the 144,000 symbolize the true church. Is the number 144,000 to be taken literally or symbolically? Commentators are divided on this question. Most futurists read this literally and believe that during the coming Tribulation God will anoint 144,000 Jewish evangelists. Others believe that 144,000 Jewish Christians heed the warnings of Jesus and escape the Roman destruction of Jerusalem in 70 A.D. But many Bible interpreters insist we must see this number as symbolic. The 144,000 may be seen as 12 x 12 x 1000, which stresses the completeness of the number; this is, after all, apocalyptic language, and reasonable readers should see it as such, they argue. Are the 144,000 in chapter 7 the same 144,000 we encounter in chapter 14? Again, there is no consensus among scholars. Some insist they are the same, since they are sealed by God on their foreheads and are redeemed from the earth. Those who hold this view stress that we see the 144,000 on earth in chapter 7 and in heaven in chapter 14. Other interpreters, however, say that these are two different groups: Jews in chapter 7 and the “redeemed from the human race” in chapter 14 (v. 4). God is not finished with Israel. Whether the 144,000 are ethnic Jews or redeemed of all the earth, Jews are welcome in the kingdom of heaven and have been receiving their King since the Day of Pentecost. Although proponents of “replacement” theology (also known as “completion theology”) contend that the church has taken the place of Israel in this age, no reasonable Christian would deny that ethnic Jews throughout the church age have trusted in Jesus as Messiah as therefore are members of the true church. One other point should be kept in mind: There are many scriptural promises of Israel’s future glory, including the city of Jerusalem, that are difficult to spiritualize and are better understood in light of a geographic location and ethnic people. God always keeps a faithful remnant. Even though the nation of Israel often has fallen into gross idolatry, the Lord has preserved a number of Jews faithful to Him. And even when Christianity is the particular target of persecutors – whether Roman or Jewish in the early centuries of the church, or communist or radical Muslim today – Christ preserves, strengthens, and expands His church. Clearly, the “forces of Hades will not overpower it” (Matt. 16:18). God will judge the world one day in righteousness. The sealed servants in Revelation 7 and 14 are set apart before the Lord brings His particular judgment of the wicked to bear. While there is no doubt that many believers suffer persecution at the hands of the ungodly, God’s final judgment of the earth will target those who shake their fists at the Son of God as He returns in power and great glory. Whatever price believers have paid for their faithfulness on earth will be vindicated by Christ in His coming and compensated in eternity. So, how do proponents of the four major interpretations of Revelation view the 144,000? Preterists – who see the events of Revelation as fulfilled in the first centuries of the church age – say the 144,000 is a symbolic number representing Jewish Christians who escaped Jerusalem before its destruction in 70 A.D. Because this group is called “the firstfruits for God and the Lamb” (Rev. 14:4), and because the church age has witnessed a continuous harvest of souls, the 144,000 must be early Jewish Christians rather than future ones. “God always has had a remnant in Israel who are faithful despite widespread apostasy,” writes Steve Gregg, explaining the preterist view. “This faithful remnant in the first century was the original core of the entity we now call the church; many Gentile converts have been added to their company since that time” (Revelation: Four Views, p. 130). Historicists – who view the events of Revelation as unfolding throughout the course of history – see the 144,000 as symbolic of the entire church, “the Israel of God.” Some historicists, however, take the 144,000 to be a select number of Jews spared during the destruction of Jerusalem (similar to the preterist view), or symbolic of God’s chosen remnant in the world. Idealists, or spiritualists – who see Revelation setting forth timeless truths concerning the battle between good and evil – argue that this company represents the church as the true and spiritual Israel. The irregular listing of tribes – with Judah named first as Messiah’s own tribe, and the omission of Dan and Ephraim, argue against a literal interpretation. “In any age, it is the church that is preserved from God’s judgments upon nations, though this does not mean the church does not suffer at the hands of sinners,” writes Gregg, summarizing the idealist view (pp. 132-33). In verse 2 John sees “another angel” rise up from the east. He carries “the seal of the living God” and cries out to the four angels, “Don’t harm the earth or the sea or the trees until we seal the slaves of our God on their foreheads” (v. 3). This angel is unique in that he comes to seal God’s slaves, while the four others are sent to restrain the four winds. Angels are messengers of God and serve Him in different capacities. Some, like Gabriel, bring messages. Others, like Michael, stand for Israel. Others bring protection, deliverance or judgment. They do not seem to prefer one task over another; they simply obey God when He sends them to earth, and this particular angel is sent to halt the advance of the other four until God’s special mark is upon His slaves. This angel comes from the east. The direction is significant. The tabernacle in the wilderness faces east (Num. 3:38). The temple in Jerusalem faces east (2 Chron. 5:11-12). It is at the eastern gate of the temple – “the temple gate called Beautiful,” Acts 3:2 – where Peter and John heal the lame man. Perhaps most important, when Jesus returns, He will come from the east: “For as the lightning comes from the east and flashes as far as the west, so will be the coming of the Son of Man” (Matt. 24:27; see also Ezek. 43:1-7). So this angel comes from the east, the direction of the sunrise, to do a great work on the Lord’s behalf, sealing His slaves. Then, at the start of Revelation 7, angels are sent to restrain the four winds until God’s chosen ones are sealed. This seems to fit with Matt. 24:31, “He [the Son of Man] will send out His angels with a loud trumpet, and they will gather His elect from the four winds, from one end of the sky to the other.” If Jesus’ words in Matthew 24 and John’s record in Revelation 7 are describing the same events, then God is about to pour out His wrath on the earth. But first He spares the righteous. This could fit a preterist view, in which Jews who heed Jesus’ warnings flee Jerusalem before its destruction in 70 A.D. It could also fit a futurist view, in which a large number of Jewish believers are spared the horrors of the Tribulation. In any case, it appears God delivers a number of His elect before His judgment falls. There are about 60 references to seals in the Bible. Generally speaking, seals are spoken of in two ways. First, a seal is an object – often a small, semiprecious stone with writing cut into its surface, making an impression in clay or wax. Second, a seal signifies the impression itself. In this context, the angel from the east seals the 144,000 – placing God’s mark of ownership on them. At the same time, the 144,000 are sealed, or receive and bear the mark of God. The seal, John says, is placed on their foreheads. It’s possible the seal is visible, for while John only hears the number of those sealed in Revelation 7, he sees the 144,000 on Mt. Zion in Revelation 14. Also, the Antichrist, the great imposter, requires his followers to receive a mark on their foreheads, perhaps indicating a visible sign. But it may make more sense to see God’s seal as the mark of the Holy Spirit, who seals the believer (Eph. 4:30). If the futurist view is true and the Holy Spirit is removed from the earth at this time, it would take a special act of God to send His Spirit to mark out the 144,000 as His own. The use of seals in scripture might shed some light on this passage. Harper’s Bible Dictionary points out that seals often render something secure against tampering (Jer. 32:10; Matt. 27:66), to demonstrate authority (1 Kings 21:8; John 6:27), to seal a letter (1 Kings 21:8; 1 Cor. 9:2), to seal a covenant (Neh. 9:38), to delegate authority (Esther 8:8; John 6:27), and to seal documents (Isa. 8:16; Jer. 32:10; Rev. 5:1). The 144,000 are indeed secure from the tampering of the wicked; they are under the authority of the King; they are messengers; they are partakers of the divine covenant, and so on. More important, if this seal is in fact the Holy Spirit, they have the indwelling presence of God and are empowered by Him to carry out His will.